I was contacted by Sage & Iris to help spread the word about their current Kickstarter campaign (the famous crowd-funding platform), and after checking out their page, I was immediately on board. 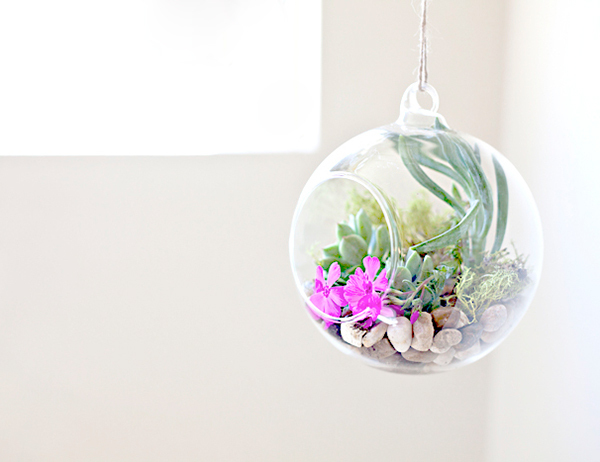 Sage & Iris is the passionate work of two sisters in law, Ana and Darlene, who have designed modern, clean, and trendy vertical hanging garden products - crystal glass ornaments and white cotton rope plant hangers. The glass ornaments come in three versions (oval, tear drop and ball) and are super versatile - they can be used indoors, outdoors, at events (think weddings! outdoor summer dinners!) and the ways they can be filled are only limited by your imagination - an urban desert using succulents, a rainforest using water and live flowers, or candles for an elegant, romantic dinner? Plus, at only $11 for the oval and teardrop (early bird special!) and $15 for the ball ornament, or $35 for a boxed set of three (including shipping to the US), they're quite a steal. 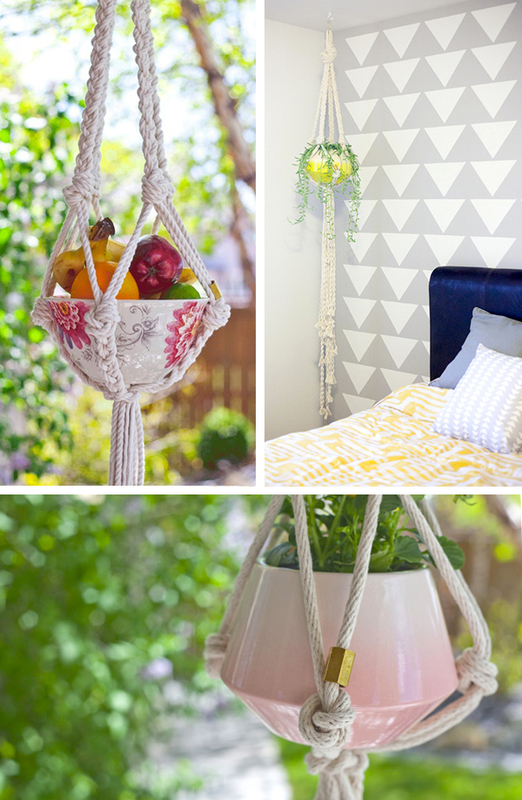 The cotton rope hangers are my absolute favorites. Not only are they gorgeous, but they're also made of a natural, safe fiber that is disposable, earth friendly, soft, durable and easy to handle. AND it's also an easy material to dye. Ana and Darlene from Sage & Iris want to expand into colored rope plant hangers, and I can already picture myself dip-dyeing the rope into a peachy pink ombré. They can hold all kinds of pots, no matter the shape or size, and can be hung both indoors and outdoors. Now, Ana and Darlene need your help. They are only able to bring their products to the market if they get funded, i.e. 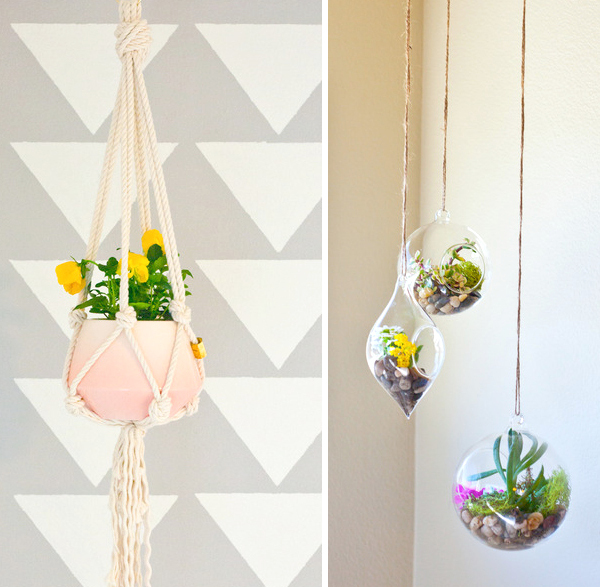 if you pre-order your favorite hanging product. They are about half way of getting funded and their campaign ends on May 29. So skedaddle over there- not only will you support their project, but you'll also be among the very firsts to receive one of their adorable and affordable ways of displaying your plants. I have been following their journey on instagram! I love their new launch (hopefully). They are such a good price and so delicate! Go support them! Thank you for sharing this. Absolutely lovely =) Your blog is always amazing, keep it up!